UPDATE: We will NOT be doing the Patreon program ... so if you want to be part of the Yellowstone adventure, simply enter your email in the "Subscribe to" box on the right or join our Facebook group, Yellowstone Howling. We will be heading to Yellowstone on May 9th. In about a month, as part of the research for my new book, Yellowstone Howling, I will head to wolf country. If I’m lucky, I’ll get to see wolf pups emerging from their dens. I’d like to have you join me (virtually), but more about that in a minute. If this already sounds like fun, click here. 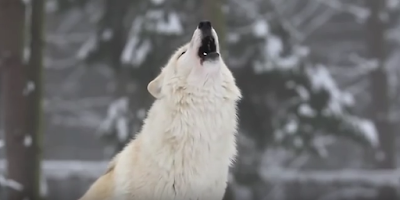 What first attracted me to the story of the reintroduction of wolves into Yellowstone was the incredible, 5-minute YouTube video How Wolves Change Rivers. (Don’t miss it!) It sparked a story about an average middle-aged woman who goes on an extraordinary adventure to Yellowstone where she learns more about the wolves … and about herself. Not only have I fallen in love with the wolves but writing about them has drawn me into a deeper connection with the world we live in. I thought I was just writing a book, but it may prove to be more of a spiritual journey. This became even more apparent when I learned about Wolf 832f (also known as Wolf 06). To be part of the project of telling the story about this amazing wolf, click here. The stories of Wolf 06f are told and retold ... about her teaching her mates and pups to hunt, about bringing down an elk all by herself, about the time, while still weak from birthing, she out-tricked a pack of sixteen wolves who wanted her blood and her territory. She was a “rock star” in the world of wolf-watchers. Until she was murdered. Now her spirit demands to be heard. In the strange and wonderful world of fiction, Wolf 06f has insisted on becoming a character in the story. Who knows where she will lead us! As most of you know, I “taught” creativity for many years. They say you teach what you need to learn and, in my case, I think that’s absolutely true. I thought I was beginning to understand it nine years ago when I began to make digital art, but It wasn’t until I started this fiction journey two years ago that I felt like I was actually experiencing it. You’re invited to be part of the process of creating this new book. Now, I’m as giddy about the process of fiction as i was about creativity in general over thirty years ago (can it really be that long?) Several of you have been involved in Facebook sessions and conversations about titles and plot points. For me, it has reinforced the power of thinking diversity as I watched a story get more powerful, more boldly emotional and exciting with the ideas that came from so many different directions. If you’ve ever wondered why authors thank so many people at the beginning of a book, it’s because so many people deserve to be thanked … for their ideas and suggestions as well as their support. I would love to have you come to Yellowstone with me … like a virtual sag wagon … and to also be part of the process of taking Yellowstone Howling from fiction concept into a work that stirs imaginations and hearts. joining the Facebook group, Yellowstone Howling. 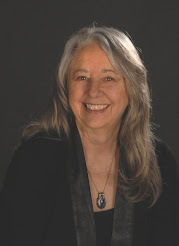 My intention for the book is to tell a story formed at the intersection of the human psyche and the wild world as they meet in a magical land known as “the American Serengeti” and are touched by the magical realism of spirit. No small feat … which is why I need help. I hope you’ll join me on this adventure … who knows what we may find along the way … but I can guarantee you that the photos are going to be stunning (I’ve met some fellow Yellowstone photographers who will make up for my limited skill and equipment). 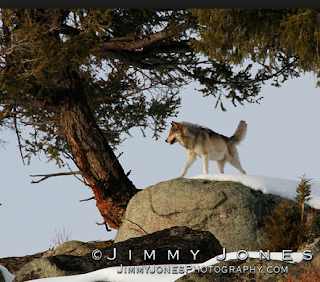 And, you’ll know more about how important wolves … and wildlife … are to the balance of our world. P.S. 30% of book royalties will be donated to the protection of wildlife. P.P.S. If you want more about the wolves right now, Druid Peak, is a good movie with beautiful scenery, available on Netflix. P.P.P.S. Click here for a stunning memorial to Wolf 06f, photo by Jimmy Jones and music by guitarist John Sheldon. To read about Jimmy Jones' long-term relationship with Wolf 06f, read his blog post here.